Today i'll be participating for the first time in The Paper Players Challenge. They have a variety of weekly scheduled challenges and am excited to play! 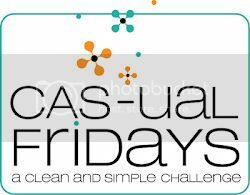 Here's the link to this week's challenge: Challenge # 52 - Clean and Simple. I have recently - and happily - discovered that there is really a CAS technique - and i thought, what i previously did in my scrapbook layout was called "flat!" 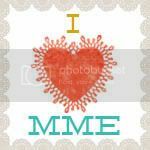 I embossed the base cardstock. The big image is the one i played with. Saw this "Direct-To-Paper" technique over at the Splitcoast Stampers site and tried it. I love how it turned out! The sentiment at the bottom i have handwritten and direct-inked the paper again. Have inked all the edges of the papers used. Materials: White cardstock; stamps and embossing folder - Tim Holtz; Distress Inks. Great job! Love how you used the Direct to Paper technique! Thanks for playing with the Paper Players this week! Thank you very much, Lauri! Am so excited reading your comment :) Can't wait for the next challenge! Very, very pretty! I love the images you used. The texture is perfect! Thanks for playing with The Paper Players!